On January 11, the U.S. Supreme Court will hear arguments in Friedrichs v. California Teachers Association (CTA), a potentially landmark case. 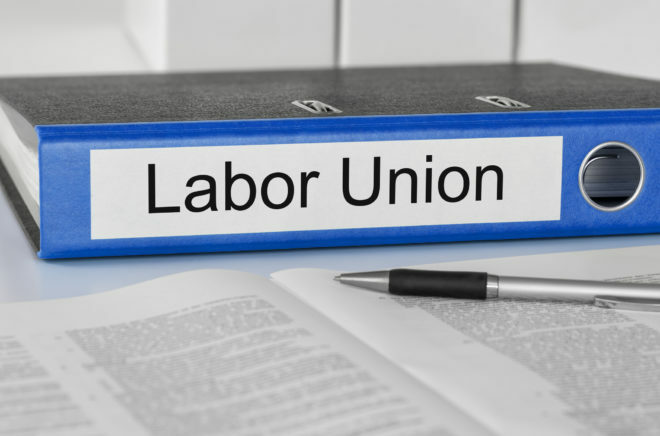 If the Court rules in favor of the plaintiffs, the financial strength and political clout of government employee unions across the country could be diminished greatly. Ten California teachers and a teachers’ group, Christian Educators Association International, brought the Friedrichs case. The plaintiffs want to stop paying mandatory dues to the CTA, claiming that all activities of the union are “inherently political.” Since 1977, employees who are represented by a public-sector union can opt-out from paying union dues for political activities such as union opposition to a ballot initiative or union support for a legislative candidate. But in the 25 non-Right-to-Work states including California, these employees must still pay “agency fees” to cover the cost of union representation activities: negotiating contracts covering pay, benefits, and working conditions. For California teachers, about $600 of their average $1,000 annual dues goes toward their fair-share [agency] fees; it is divided among their local union, the California Teachers Association, and the National Education Association for their expertise and representation. The remaining money pays for lobbying and campaigning at the local, state and federal levels. Some allege that unions exaggerate representation costs in order to collect more money from employees who opt out. Public-sector unions’ collective-bargaining efforts constitute political speech designed to influence governmental decision-making. . . . In this era of broken municipal budgets and a national crisis in public education, it is difficult to imagine more politically charged issues than how much money cash-strapped local governments should devote to public employees. The plaintiffs have a strong case, especially given how government pension costs have devoured local government budgets in California and elsewhere. When unions successfully lobby for higher government employee pension benefits, or negotiate for lower government employee contributions to pension funds, these actions increase the share of government budgets devoted to pension costs. When more money goes to pensions, less money can go to other public services. About 25 percent of San Jose City’s budget is devoted to paying for employee pension costs, 18 percent of San Mateo County’s budget goes to pensions, 17 percent in Ventura County, and 15 percent in Orange County. Money that pays for pensions is money not available for other city and county services. The same pension burden impacts school districts. In California, contribution rates for school districts to pay for teachers’ CalSTRS pensions will rise from 8.25 percent of payroll in 2014 to 19.1 percent by 2020, a 132 percent hike. These higher pension payments will hit all school districts statewide for 31 years, until 2046. A new Moody’s report shows that aggregate contributions from local school districts will increase to $6.4 billion in 2021 from $2.3 billion in 2015, a nearly threefold increase. Money that goes to teacher pensions is money that isn’t available to repair school buildings and hire new teachers for the instructional needs of children. As I detail in my book California Dreaming: Lessons on How to Resolve America’s Public Pension Crisis, government pension costs crowd-out other core city and county services. Money that goes to pensions is money that isn’t available to maintain parks, keep libraries open, fill potholes, and hire and retain police officers and firefighters. In San Jose, a house right across from a fire station burned down because that station’s fire trucks had been mothballed to pay for rising city pension costs. This decision to sacrifice public safety was clearly immoral, but it was also a political decision shaped by financial realities. And union bosses often negotiate contracts with school board members and local lawmakers that these unions helped elect through campaign donations, votes, and volunteering, an obvious conflict of interest. Clearly, government labor unions, through their successful efforts to raise pay and pensions of government employees, have changed the mix of public services offered in California communities, and other communities across the country. Union negotiating activities, therefore, embody political choices that are often controversial and have long-term political implications. It is impossible to separate in any meaningful way unions’ negotiating activities from unions’ political activities. All union activities are inherently political. And workers have a First Amendment right to not pay any dues or fees to a union to fund political activity they might not agree with. If the Friedrichs plaintiffs win, the decision would ban mandatory union dues for any purpose. Payments to unions would be voluntary. It would be poetic justice if union pension greed were the ultimate undoing of union financial strength. There is still the question of how broad a ruling it could be. The Court decision could squeeze union treasuries across the country if it applies to all states, but it could be limited to only California, or only to the CTA. Stay tuned. The Supreme Court will hear the case for 80 minutes on January 11, 20 minutes more than usual. Expect a decision by the end of June.